We’re heading closer to the first days of summer, when schoolchildren crave fun activities and adults are on the hunt for interesting things to do. This month, the park offers a mixture of nature, wildlife, modernism, food, music, and local feel-good get-togethers at attractions such as the California Academy of Sciences and the de Young Museum. So, get your calendars out, and mark down the monthly events at Golden Gate Park that catch your eye the most for June 2014. The first Nightlife event at the Academy for the month of June focuses on sustainable food of the open waters with seafood-related cooking demonstrations, the expertise of culinary professionals, and games. Those who attend will also get a chance to become one of the first to catch sight of the newest addition to the museum’s aquarium – an impressive 2,000-gallon tank filled with rocky reefs, rockfish, and plenty of other interesting underwater beauties hailing from the California Coast. DJ Mark Gorney will provide the beats for the night in the Piazza, while Jimmy Leslie entertains with a Guitarfish performance. To participate in the Thursday Nightlife events at the Academy, you must be 21 or older (and come with a valid I.D.). The party starts at 6 p.m. and continues until 10 p.m. Tickets cost $10 to $12, depending on whether you are a member of the Academy. The first Friday Night at de Young event of June concentrates on celebrating the arrival of the Robert and Jane Meyerhoff Collection at the museum. Live jazz for the night will be provided by Mad Mensche (and directed by Ed Ivey), who performs at 6:30 p.m. at Wilsey Court. A mixed-media project for modernism enthusiasts will take place at 6 p.m. in the Museum Lobby. A guest curator lecture takes place at Koret Auditorium at 7 p.m. with Harry Cooper, who is the curator and head of Modern Art at the Washington National Gallery of Art. All Friday Nights at de Young are free, open to all ages, and take place from 6 p.m. to 8:30 p.m.
• June 13: “San Francisco Pride and Anthony Friedkin” – The festivities for the night will celebrate San Francisco Pride and the Anthony Friedkin: The Gay Essay exhibit at the museum. At 6 p.m., the Museum Lobby is where you’ll find a mixed-media project unfolding that gains inspiration from the photographs of Anthony Friedkin and the Anti-Bully Project, led by CJ Grossman. DJ Neel N. Kizmiaz, Whoa Nellies, and Honey Mahogany will deliver live music in Wilsey Court, starting at 5:45 p.m. – prepare for classic tunes from the sixties and seventies. • June 20: “Black History” – Gaining inspiration from the collection of traditional African art at the museum, a celebration of African and African American artists is the theme for tonight’s gathering. A mixed-media art session held in the Museum Lobby at 6 p.m. allows visitors to create a project inspired by the art of Africa. Wilsey Court hosts the John Santos Sextet at 7 p.m., where the sounds of Afro-Latin jazz will fill the air. • June 27: “Modernism” – Come explore the themes associated with the Modernism from the National Gallery of Art: The Robert and Jane Meyerhoff Collection featured at the museum. In the Piazzoni Murals Room (6 p.m.), a demonstration titled ‘Cocktails of the Sixties’ will introduce classic cocktails of the 1960s. A closing reception for “Charismatic Examinations of a Microscopic World,” by Sean Orlando is set at 6 p.m. in the Kimball Education Gallery. Wilsey Court plays host to the Martini Brothers, who will deliver live music from the 50s and 60s, starting at 6:30 p.m. Koret Auditorium will also play the Audrey Hepburn classic ‘Breakfast at Tiffany’s’ at 6:30 p.m. While it’s free to enjoy the festivities of the Cultivate Festival, the food and drinks sold at the event is not free – so bring along a few bucks to indulge. This one-day extravaganza filled with plenty of edibles, free samples, beverage, and live music also includes fun cooking demonstrations by celebrity chefs (from the likes of those featured on “Iron Chef,” “Top Chef Masters,” and “Chopped”) and other exciting highlights. Come discover local food artisans and sustainable treats while sipping on regional beer and wine. Some of the indie/pop/rock musical artists slated to perform includes Neon Trees, Charli XCX, and Smallpools. This event will be held from 11a.m. to 7 p.m.
With an array of paintings that feature the work of Ellsworth Kelly, Roy Lichtenstein, Robert Rauschenberg, and Jasper Johns, de Young Museum will host an exhibit centered on the Robert & Jane Meyerhoff Collection. About 50 works will be on display this month until October 12, 2014. Entry to this exhibit is included with the purchase of a regular admission ticket to the museum, which ranges from adult prices ($24) to free for members and children 5 and under. Music lovers are in for a real treat when they attend the 8th annual Golden Gate Park Band festival that includes a range of performances from the likes of the Las Gallinas Valley Sanitary District Non-Marching Band, Brentwood Concert Band, San Mateo Elks Concert Band, and Deutscher Musikeverin of San Francisico. This free event is held from 11 a.m. to 5 p.m.
As part of the Park Chalet Concert Series, local artists will entertain all summer long, and kicking off the entertainment for the month of June is Big Blue Soul Revue. From 3 p.m. to 5 p.m., the Park Chalet is hosting another Charity & the Jam Band event – fun for all ages, but especially for the kiddies. The theme for this month’s concert series is the celebration of summer. For more information, check out http://jamjamjam.com/jambandfamilyfestival.html. 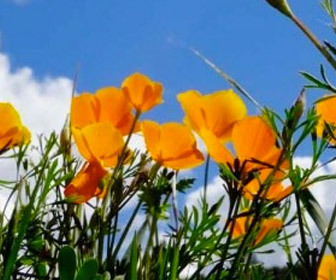 Wild Edible Food Walk – 9th Avenue and Lincoln Way – June 8 If you’ve ever looked at the many plants and flowers throughout Bay Area and wondered which ones are edible, then this event is for you. Take a food walk in the wild to learn how to pinpoint the wild plants you can actually eat – some of which found right in your own backyard. Outdoor walking is a part of this outing. The cost to enjoy this event (held from 10 a.m. to 12 p.m.) is $18 for members of the Jewish Community Center of San Francisco, and $20 for non-members. For more information, click here or call (415) 292-1200. For nine days, the Academy will host a fun-filled educational extravaganza with the focus of neuroscience. Kicking off on June 13, this festival explores the tools and techniques associated with discovering the quirks of the human brain, animal intelligence, and even the best ways to feed the brain. • Brain Power Nightlife: For the 21 and over crowd, the Academy’s Thursday Nightlife event on June 19 offers stations around the museum that provide hands-on activities, special cocktails, and a special planetarium show called the Neurodome – to name a few. The event is held from 6 p.m. to 10 p.m., and costs $10-$12 to attend. • Brainy Tunes with Ira Marlowe: Fun for all ages, kids especially enjoy the intelligent sounds of Marlowe, who will challenge the mind and body with music from 10 a.m. to 4 p.m. on June 21 at the Piazza. • Journey to Your Brain: The Morrison Planetairum, the world’s largest all-digital dome, will transform into the inner workings of the human brain where you can witness sparks of electrical activity, among other things. Expect discussion to come from speakers Jonathan Fisher (Founder and Director of Neurodome) and Patrick McPike (Technical Director / Visualization Engineer at Adler Planetarium). This event is scheduled for June 20 at 7 p.m. The Anthony Friedkin Gay Essay Exhibit begins mid-June, and will continue on until January 11, 2015. In addition to 75 vintage prints that display portraits taken in bars, hotels, dancehalls, and in the streets, the exhibit will also include documents, contact prints, and other items from the photographer’s archive. Entry to this exhibition is included when you purchase a general admission ticket to the museum. The theme for this month’s plant sale at the Botanical Garden is perennials, the kinds of plants and flowers that come back year after year. The sale will take place at the Nursery, starting at 10 a.m. and lasting until 1 p.m. You can reach the Nursery from the Main Gate. The Lymphomathon is a non-competitive 5K walk that gives survivors, family, friends, the community and corporate teams a chance to walk in honor and in memory of those whose lives have been touched by lymphoma. Registration for the event is from 8 a.m. to 9 a.m. with the walk taking place from 9 a.m. to 10:30 a.m. Live music and snacks will follow from 10:30 a.m. to 12 p.m. For more details, visit here. Calling all fans of roses and flower enthusiasts, the Golden Gate Rose Society will hold its annual Rose Show in Golden Gate Park from 12:30 p.m. to 4 p.m. With plenty of rose exhibits to take in, the top three honors will be given out for Queen-, King- and Princess-of-Show. After the show (around 4:30 p.m.), the public is given free roses from the show. This free event starts at 12:30 p.m., and officially ends at 4 p.m. Cheer on local Dads as they participate in a 9 a.m. run through Golden Gate Park that starts up Kennedy Drive and continues on to McLaren Lodge. There’s a turnaround point at the Barricade at Kezar Drive, where runners will start back and turn right on East Conservatory Drive, and eventually end back on Kennedy Drive towards the finish line. For the kiddies, a ½ mile Kids Run will begin at 9:45 a.m. at the same location, which is free for children ages 12 and under. The cost to participate in the Father’s Day race is 18 and over ($3 dollars for members; $5 dollars for non-members), 13-17 years of age ($3), and free for ages ups to 12 years old. To keep up with monthly race events at Golden Gate Park, don’t forget to bookmark http://dserunners.com/events/race-schedule/. In the midst of woodland sorrel, wild ginger, and sword ferns, why don’t you come bring in midsummer on the solstice at the Botanical Garden while taking in the beauty of the 100-year-old Redwood grove? As part of the event, you’ll sip on two complimentary glasses of California wine while noshing on local cheeses during a pleasant stroll about the Grove. This event will take place from 6 p.m. to 8 p.m., and costs $20 for members and $30 for non-members. Prepare yourself for another annual free concert event known as Alice’s Summerthing, which provides a host of afternoon fun, including live music, food trucks, and local camaraderie. Held from noon to 5 p.m., you don’t want to miss kicking off the summer season without attending this free event. Musical highlights include Magic!, Ingrid Michaelson, and Kodaline. The Native Garden stone circle at the Botanical Garden is where you can celebrate Pollinator’s Week at Golden Gate Park. Samples of different honey flavors and textures will be on hand as you listen to local bee keeper Robert Mackimmie from City Bees during a guided pollinator’s garden tour. Topics of discussion will also include urban beekeeping, and participants can also take part in a beeswax candle making demonstration given by the SF Beekeeper’s Association. The event will be held from 1 p.m. to 3 p.m., and is free to enjoy.